I almost feel inadequate reviewing this book because I’m sure I haven’t understood everything the author wanted to convey. But I loved what I grasped from it. That’s not to say the book is a difficult read, far from it. Children of Dust is not merely a “memoir of Pakistan”, although the time the author spent in Pakistan, up-to the age of 10, was a large part of what constituted his religious outlook. The book is divided into parts. The first part, when the author is a child, takes place in Pakistan. Here he describes living in a small town in Pakistan and going to a Madrasa which was a very traumatic experience. His parents were very religious and they wanted him to be a follower and a servant of Islam. When the family migrates to the US, the author starts to neglect Islam and concentrate on issues more important to teenagers-like fitting in, sexuality and finding ways to watch ‘Boy meets World’. It was refreshing to read first hand how a Muslim boy had to struggle with fitting in and also trying to follow his religion. When he went to college far from home, although he struggled with same things he did before, he does become more friendly with people from his own community and gradually acquires a fundamentalist outlook. 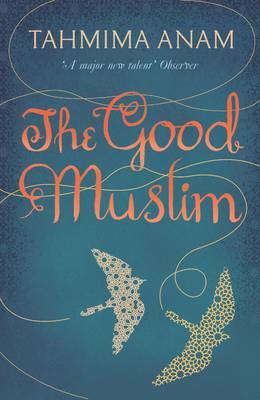 Without getting into too many details, he returns to Pakistan to find a pious girl and also to find out more about his ancestors. But instead of finding what he expected, he finds his ideas of an Islamic nation shattered. Here’s what he has to say after his visit to Pakistan. I was sneered at by the very ones who were supposed to embrace me. I was rejected by the ones who were supposed to be purer-in character, in culture, in chivalry-than Americans. The brilliance that I’d associated with Islam just a few months earlier had now turned black. After a period of mourning and melancholy, I craved vengeance. I sought to undermine all that the presumably purer Muslims held sacred. I found his shift in religious opinions very unsettling. It could be the result of blindly following what he had heard from his childhood and then finding out that not everything is what it is supposed to be. You would think a book about the authors religious journey will be boring, but it’s not, far from it. It’s fascinating, interesting, funny and most of all entertaining. And honest-very honest. ‘Children of Dust‘ is definitely unlike any memoir I have read before and I have read quite a few. Highly recommended. Zero Percentile is the story of a guy called Pankaj from Delhi, India. The story begins in 1997 Russia where Pankaj is about to board a flight to India and waiting for one phone call that could change the course of his life. This is just a 2 page prologue after which the story shifts to Delhi and then for the first half of the book we are taken through Pankaj’s childhood. Although I think the childhood part was quite stretched out with unnecessary details, I do think it was necessary. 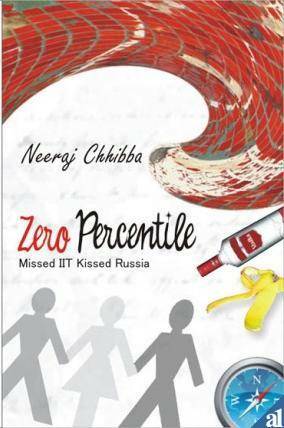 Even though the tagline of the book says ‘Missed IIT Kissed Rusia’, IIT is a very small part of this book. Just because he misses the IIT exam due to an incident, he lands up in Russia for an engineering degree. After that it’s about his experiences in Russia. What I liked the most about the book was the information it provided. 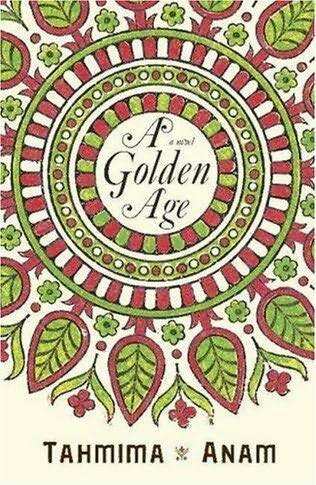 I haven’t read a lot of books set in Russia and that’s why the setting of this book was very refreshing. I got to know a LOT of things about Russia and the education system back in the 1990’s. Along with that he’s also managed to insert quite a bit of Russian history in the book. This book reads like a Bollywood Movie, a potboiler from beginning to end. It’s a book for the masses and I would safely put it into the ‘Chetan Bhagat’ category. It’s a quick read and it also costs less. The writing does need work but overall it was entertaining. Note: If you happen to get the book, please skip the summary at the back of the book, it gives away almost all the turning points of the book. 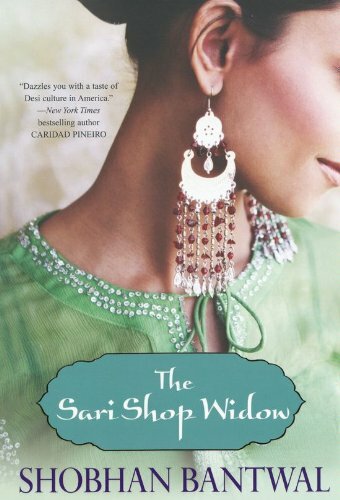 This is my first book for the South Asian Author’s Challenge.